On Thursday 12 May 2016, senior health and agriculture representatives from over 20 countries and international organisations gathered in London to share ideas on how to combat the growing threat of antimicrobial resistance. 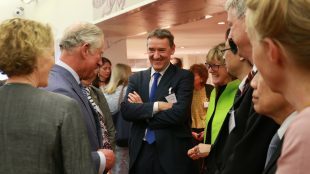 The event, which was co-hosted by Professor Dame Sally Davies, Chief Medical Officer for England, and Professor Nigel Gibbens, Chief Veterinary Officer for England, is one of the key milestones in the lead up to the UN General Assembly in September. 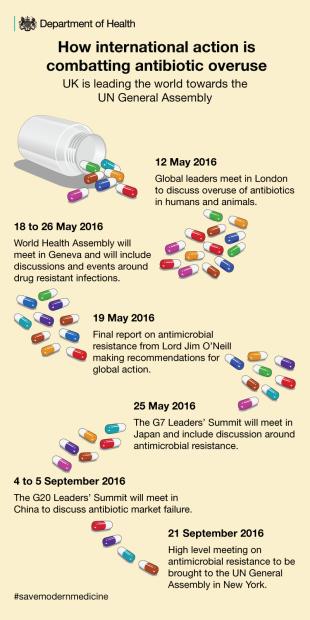 The UN will meet in New York and the UK Government is seeking high level support for global action to tackle antimicrobial resistance. For decades, humans and animals have relied on antibiotics and antimicrobials to fight infections. However, as a result of misuse and overuse, the bugs are now developing resistance to the drugs which are supposed to destroy them. If this carries on, it is estimated that by 2050 the world will face an additional 10 million deaths due to antibiotic resistant infections - more than those currently caused by cancer. This will be at a cost to the global economy of $100trillion. At last week's event, attendees came together to focus specifically on how to promote responsible use of antibiotics in agriculture and how this links to human health. They were able to share examples of what has worked well in their own countries, identify barriers to good practice and build on some of the successful surveillance networks already in place around the world. 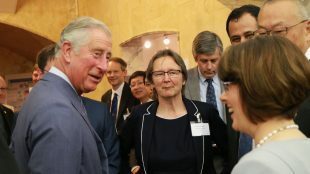 In a pivotal moment in the fight to save modern medicine, HRH The Prince of Wales added his voice to the debate for the first time, meeting delegates and giving a speech to stress the importance of using antibiotics responsibly in farming. This is an agenda that affects us all, and the whole of any government, not just those concerned with healthcare or agriculture. With Lord Jim O'Neill's final report now published, the world is now challenged to take action on finding a solution to one of the biggest threats to global public health. Below: watch our video of the day to hear what delegates thought of the sessions and their thoughts on why it is so important to take action to tackle antimicrobial resistance.